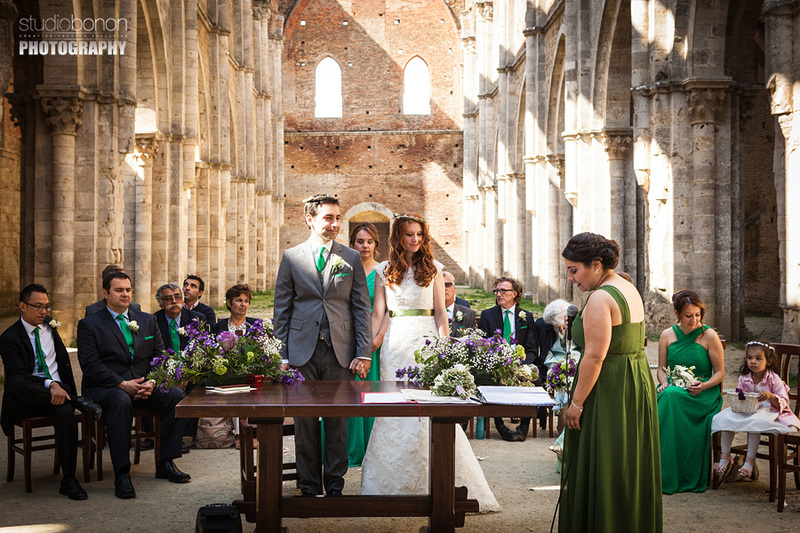 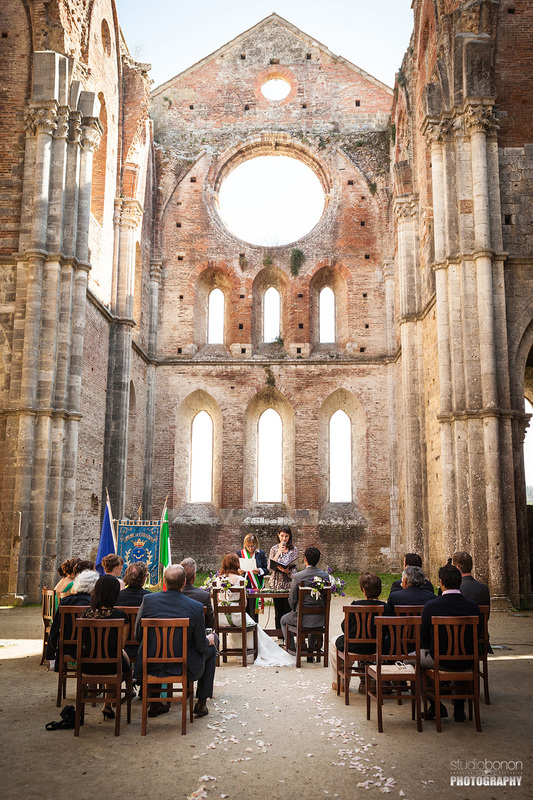 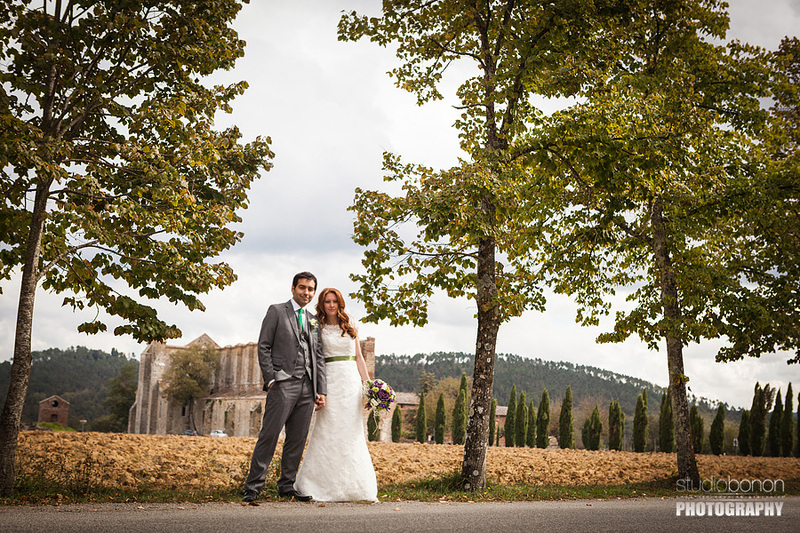 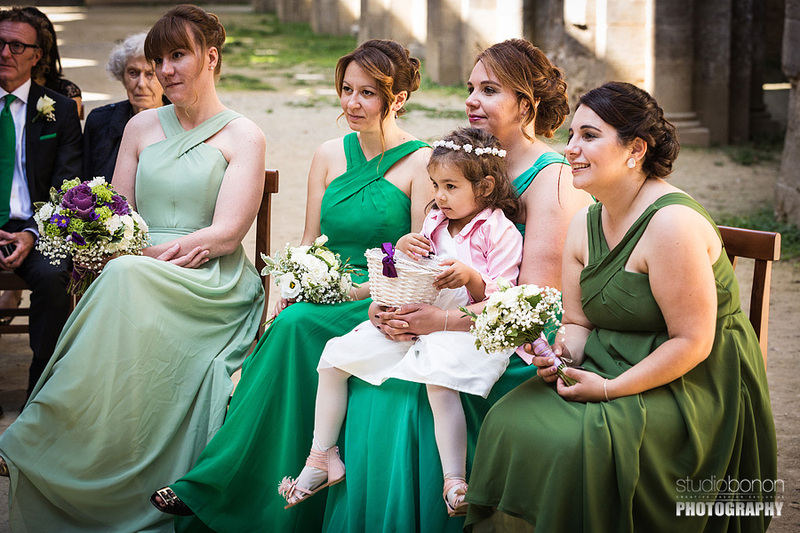 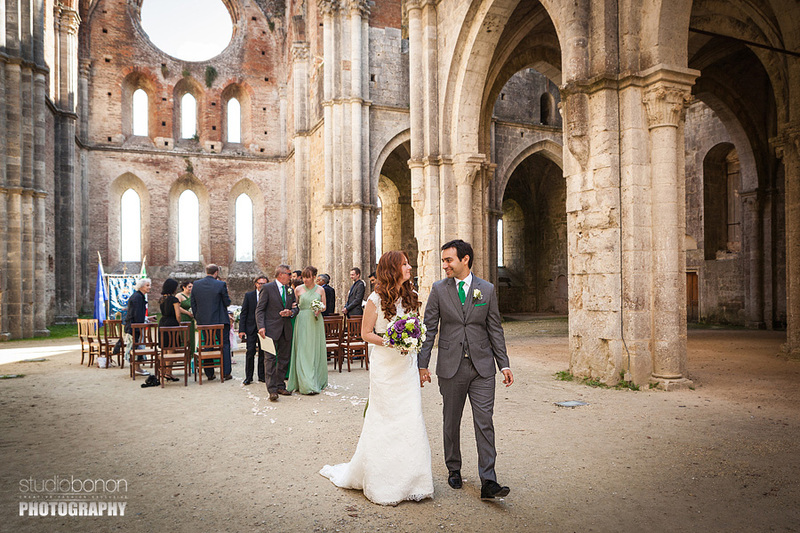 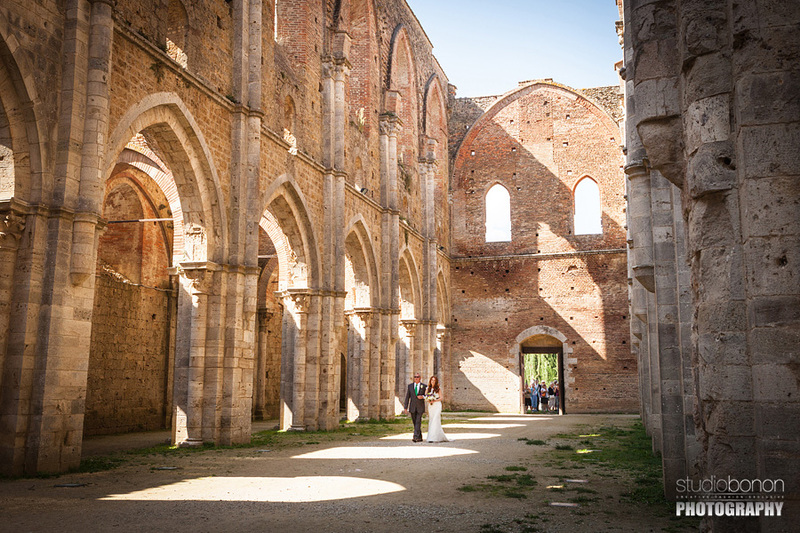 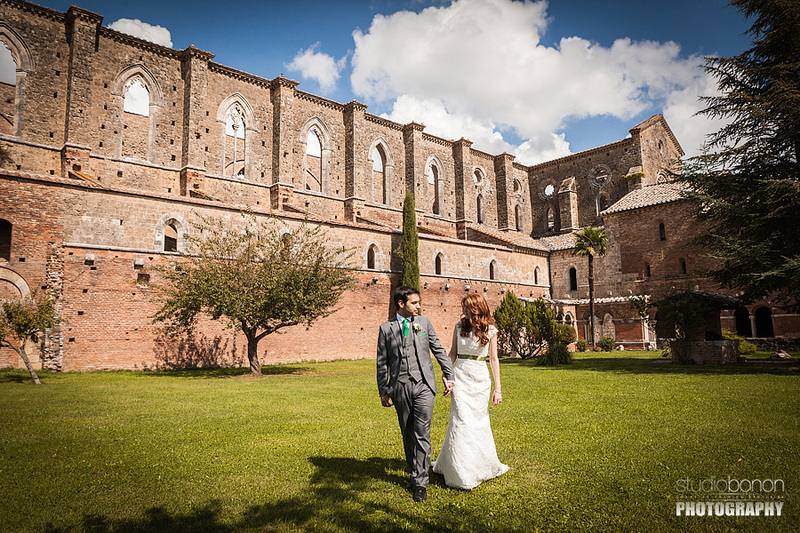 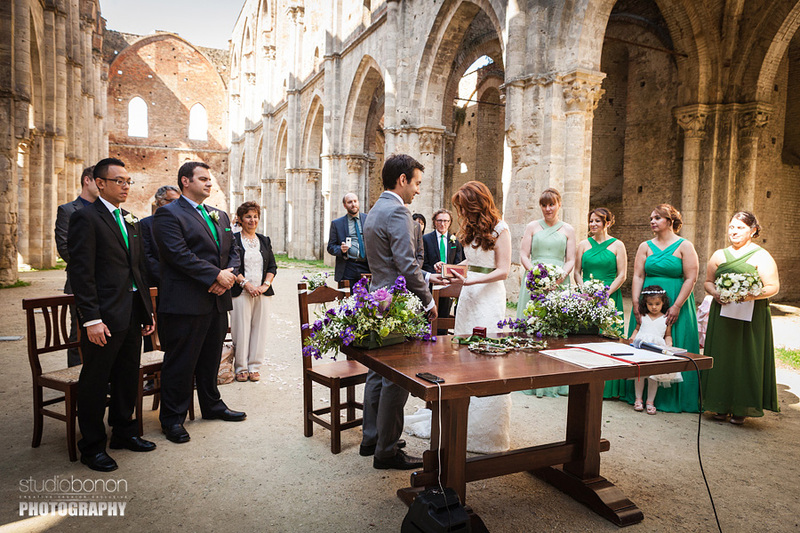 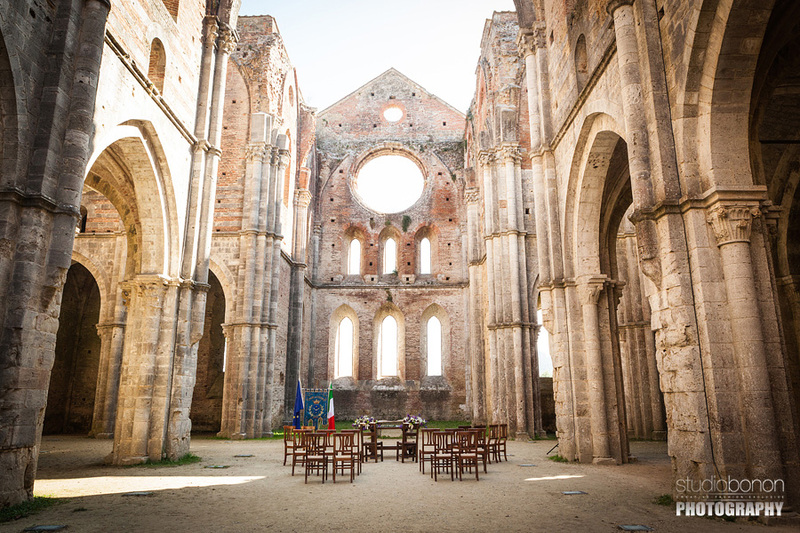 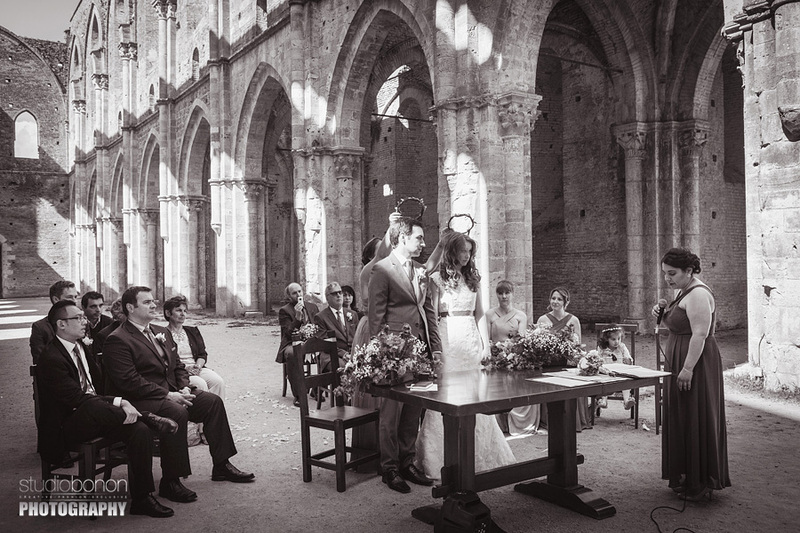 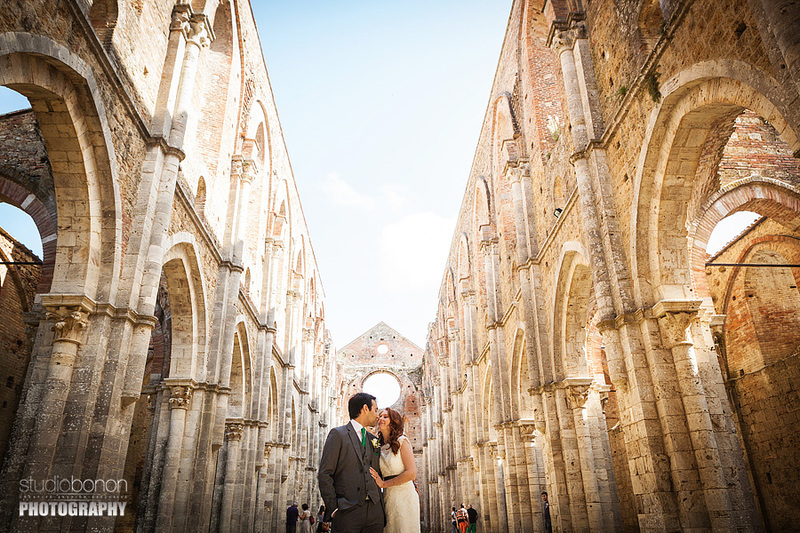 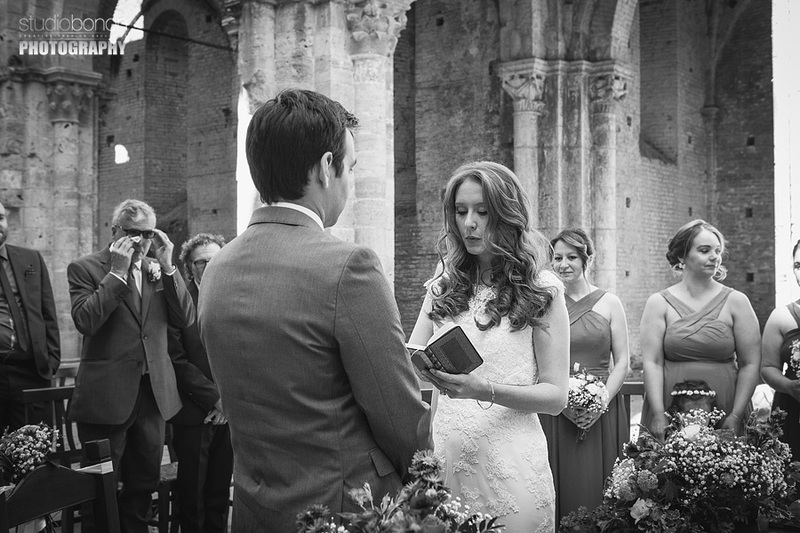 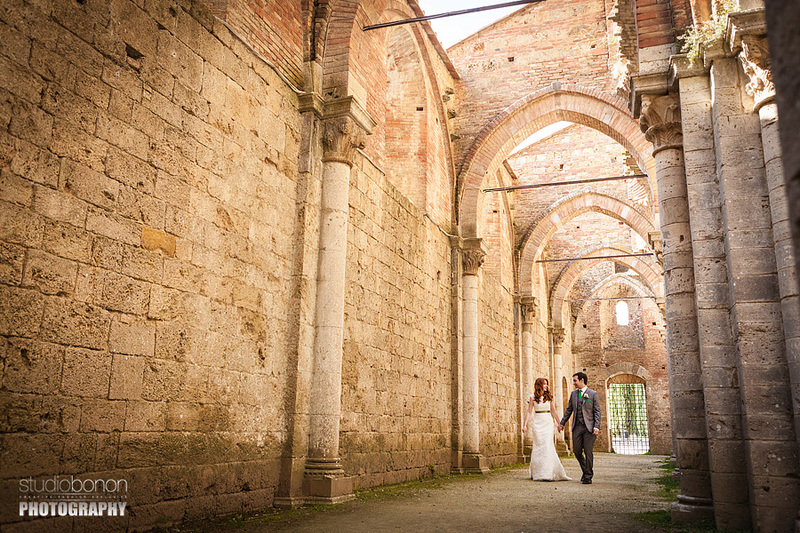 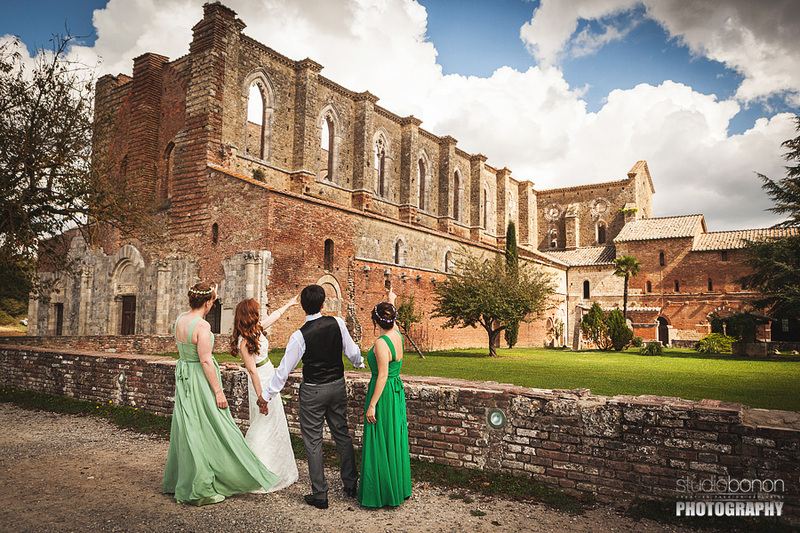 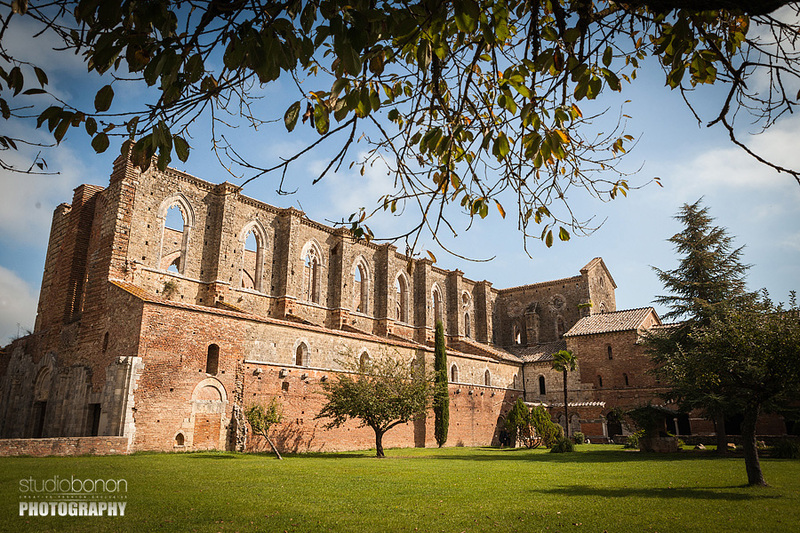 San Galgano Abbey is one of the most beautiful wedding venues in Tuscany found in the valley of the river Merse between the towns of Chiusdino and Monticiano, in the province of Siena and offers great opportunities to build unforgettable memories for you and all your guests. 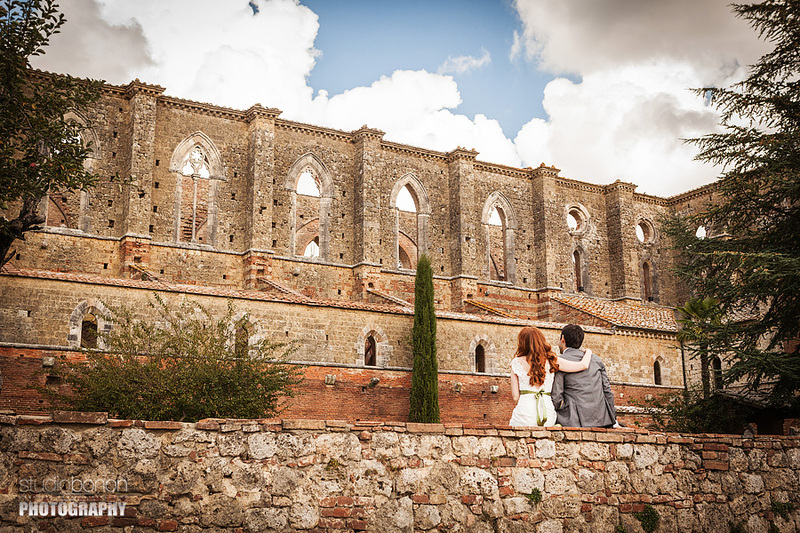 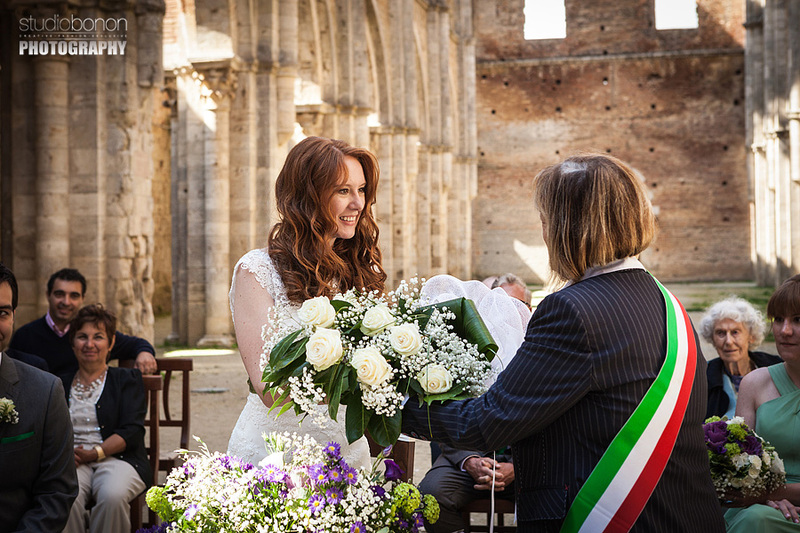 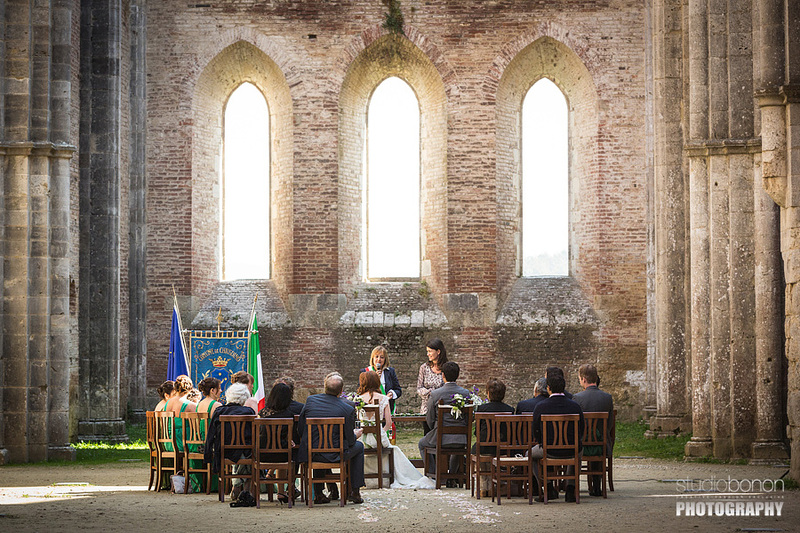 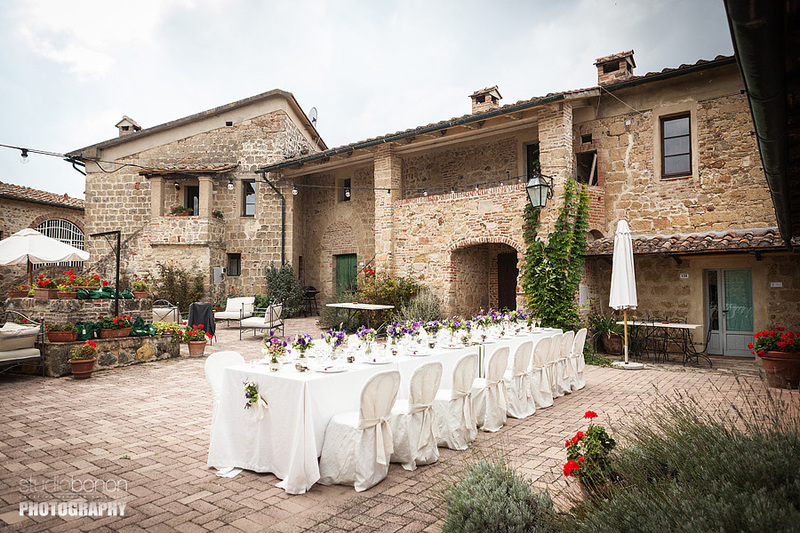 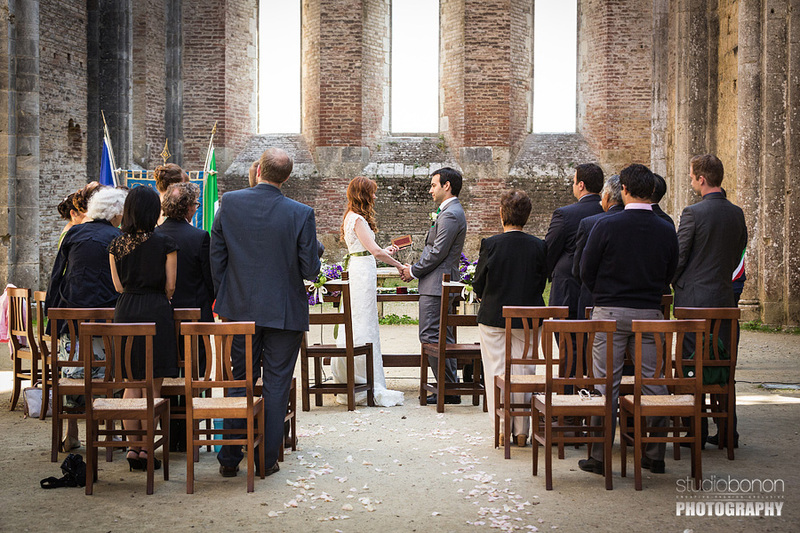 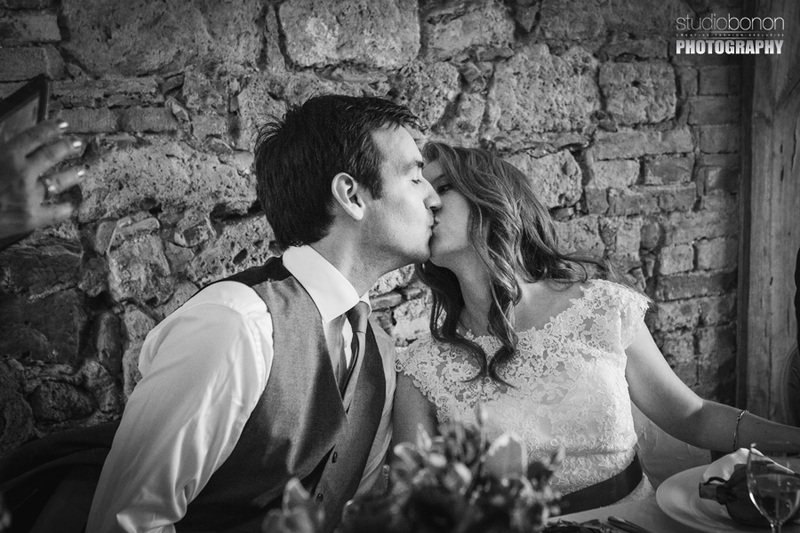 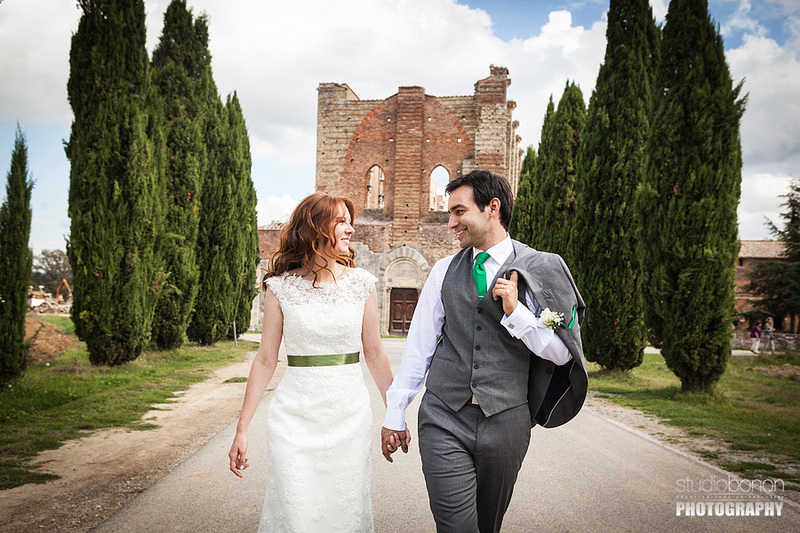 The roofless Church is gorgeous and unforgettable, a perfect place to get married and take Tuscan wedding photo shoot after the ceremony thanks to roofless walls of the Gothic style 13th-century and the exterior with the view of the Tuscany countryside. 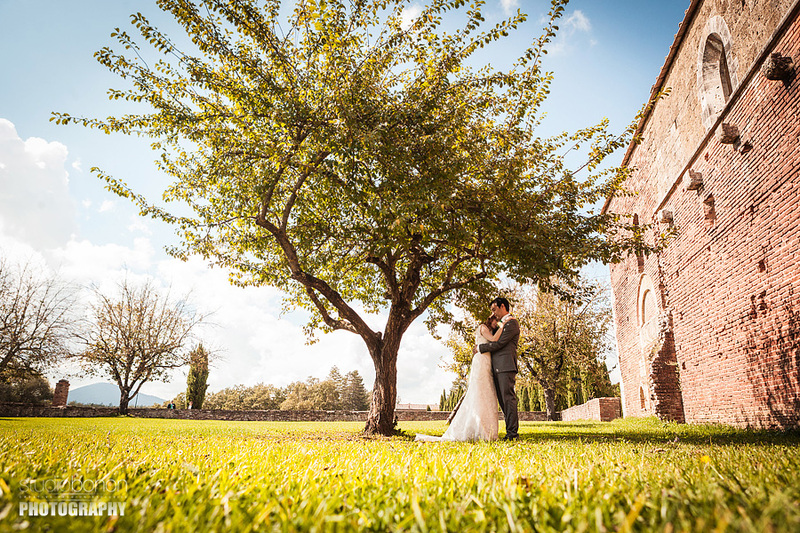 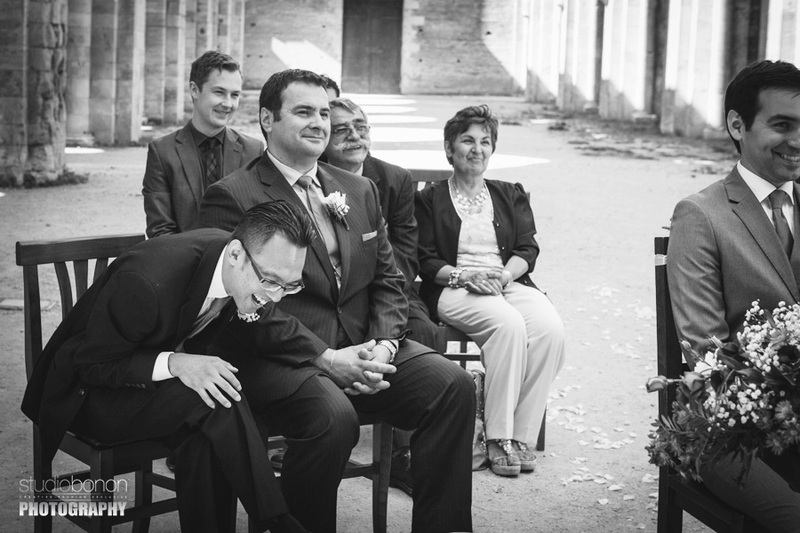 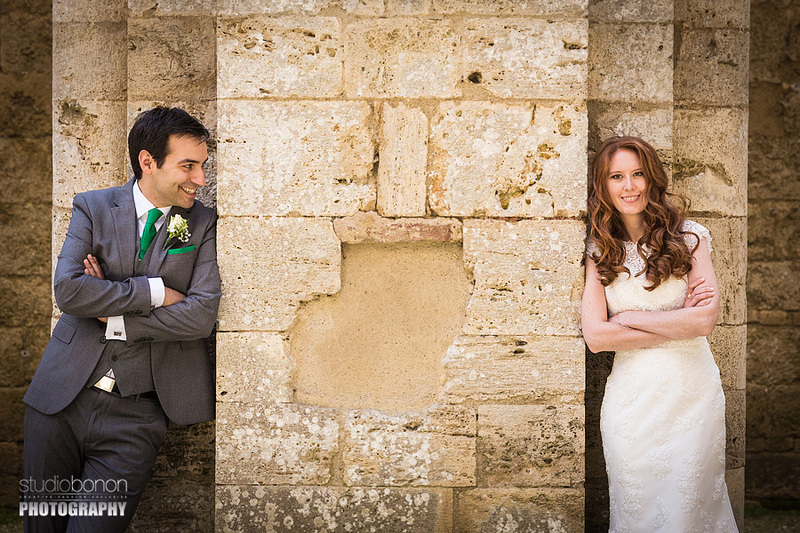 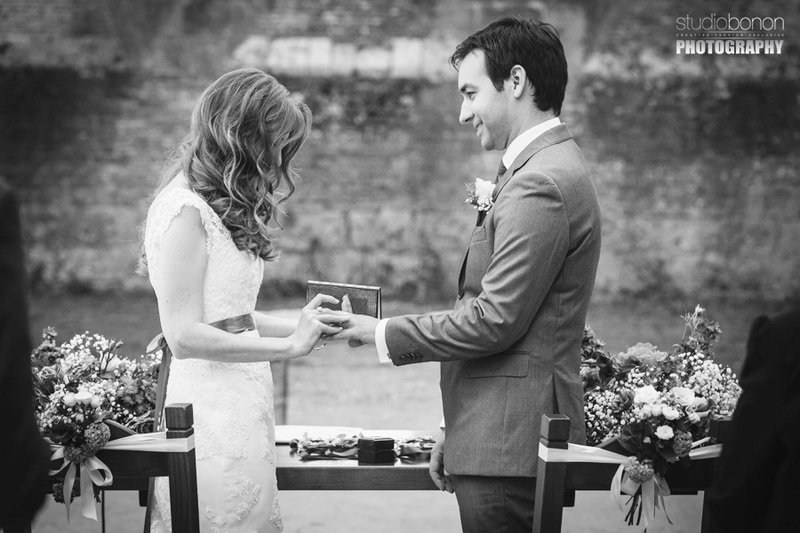 In this charming place Carolyn and Georgios had decided to walk down the aisle, exchange their vows and get married with relatives and friends who made the day truly special. 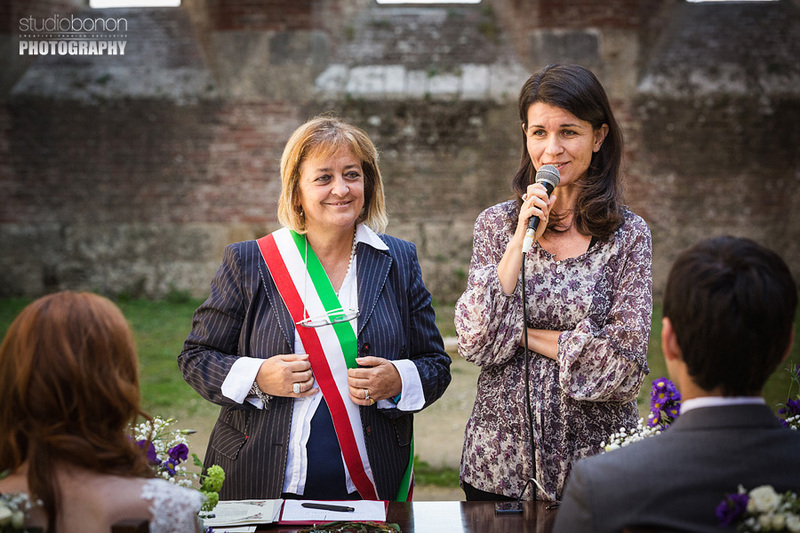 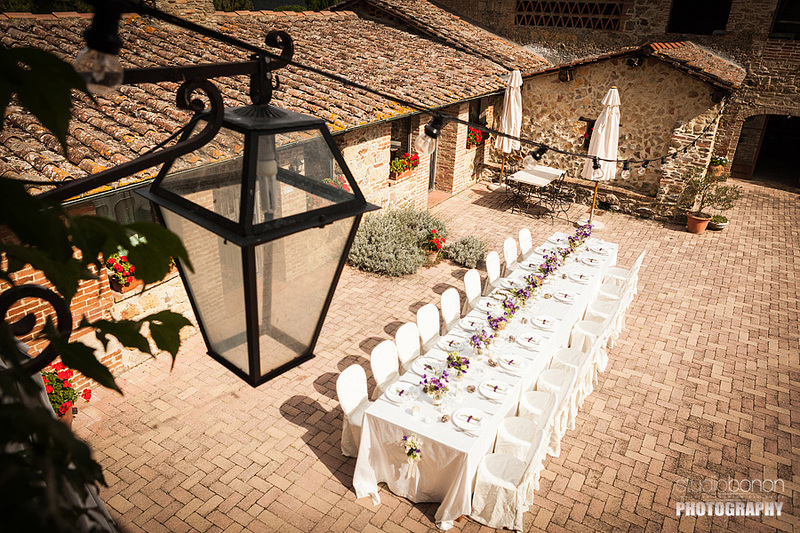 Tenuta di Papena venue is the lovely and charming agriturismo where the couple had their elegant intimate and unforgettable wedding reception, the perfect place for this intimate destination wedding perfectly planned by talented Francesca Fantoni of Efffetti Wedding in Tuscany agency. 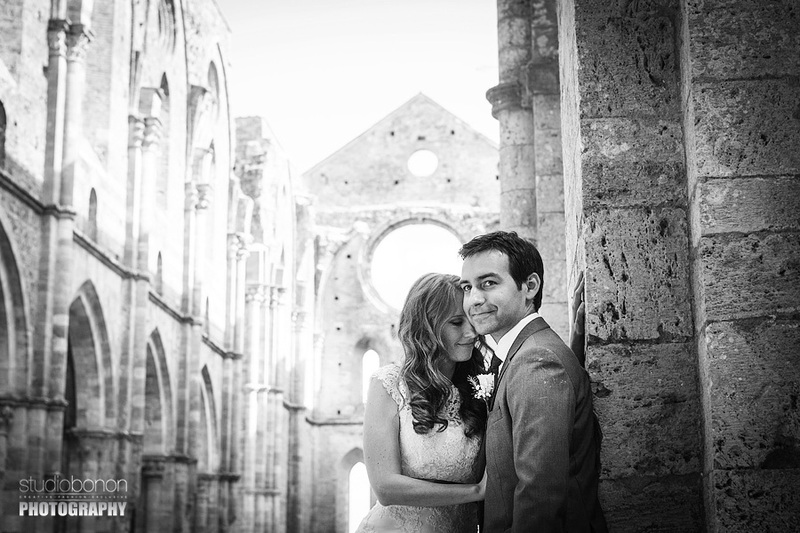 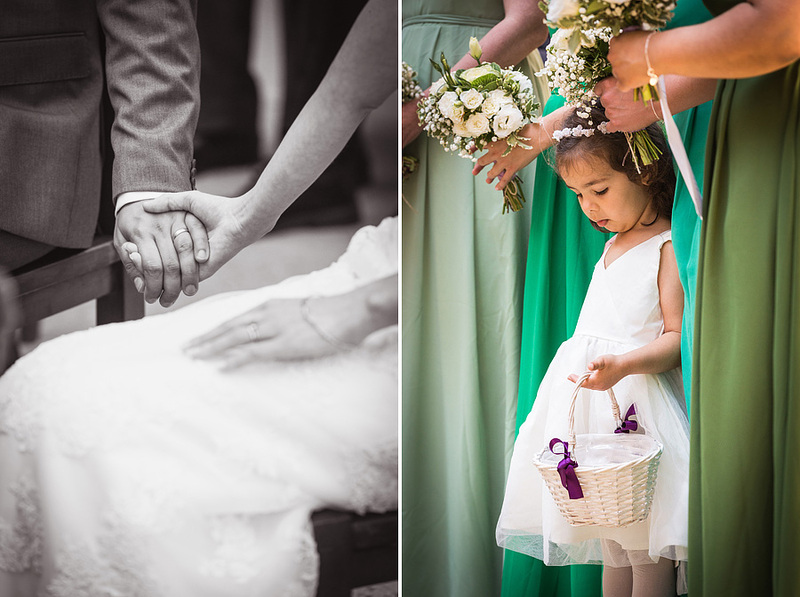 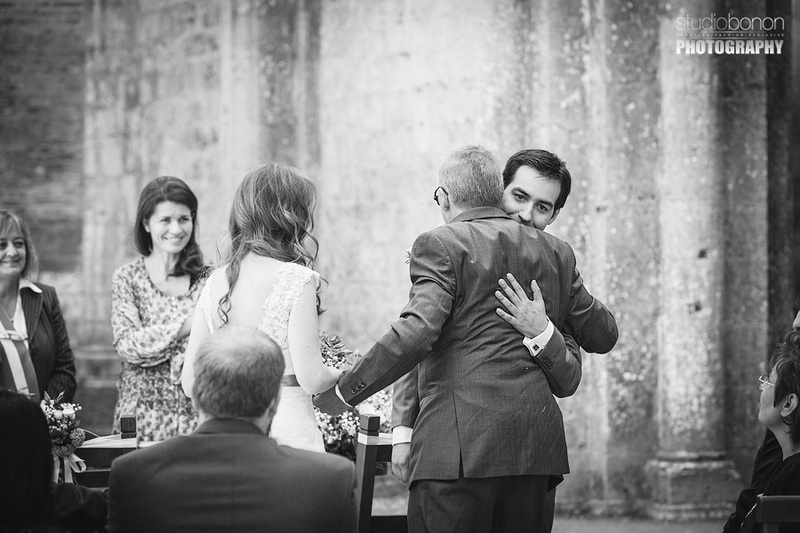 Please enjoy with us this lovely story of Carolyn and Georgios. 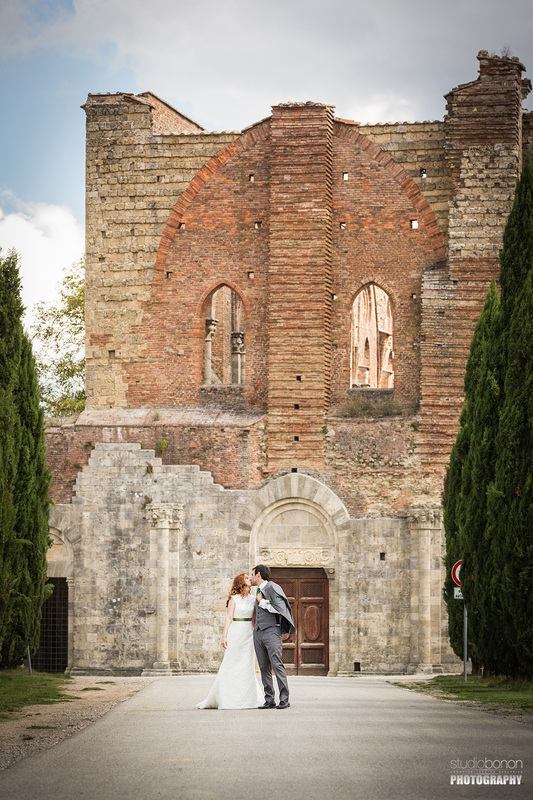 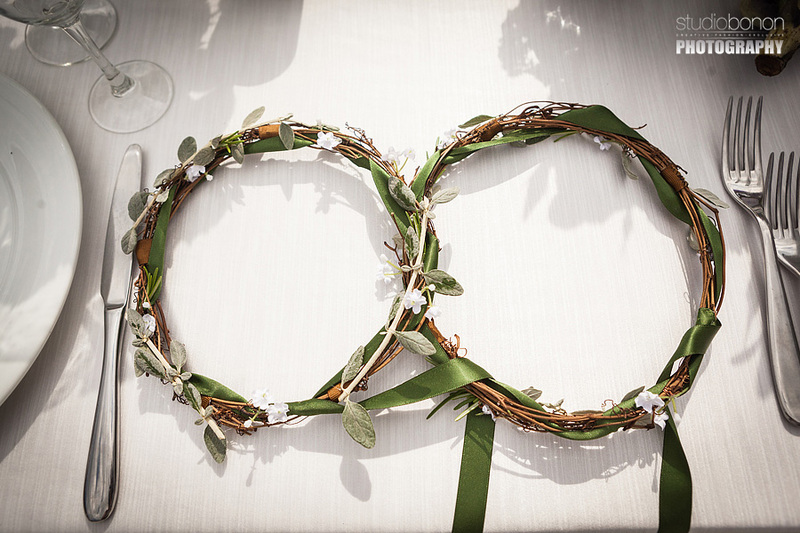 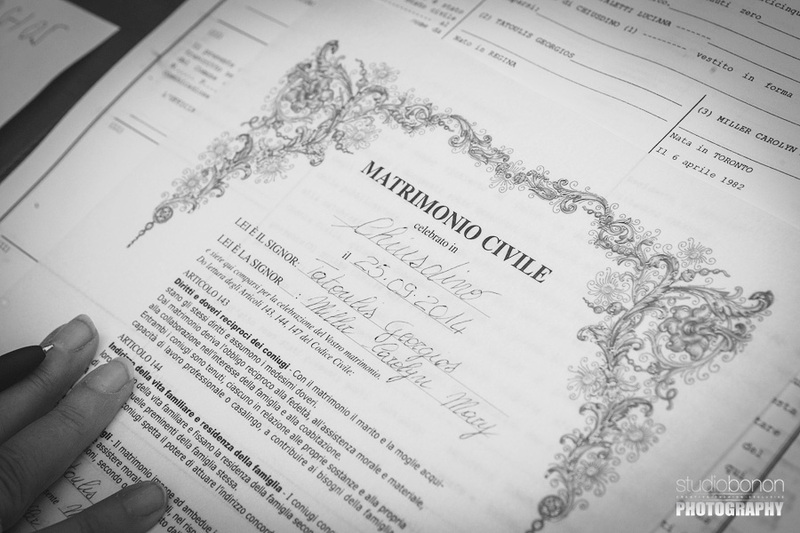 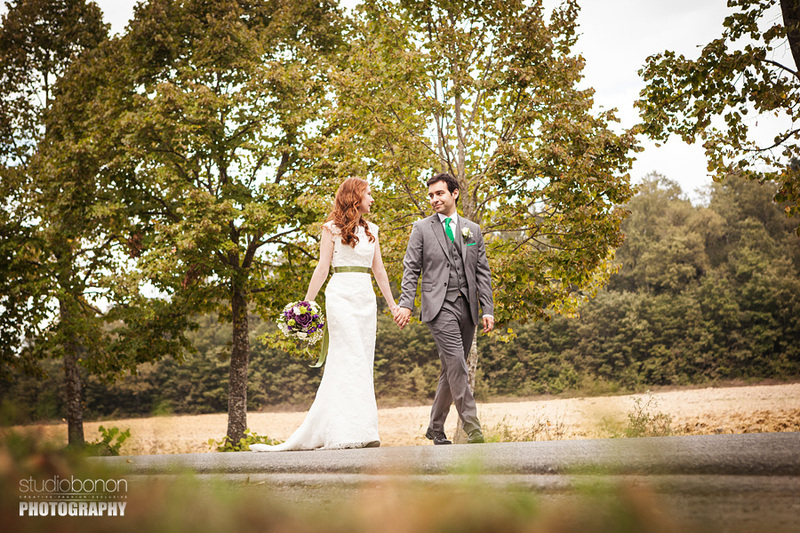 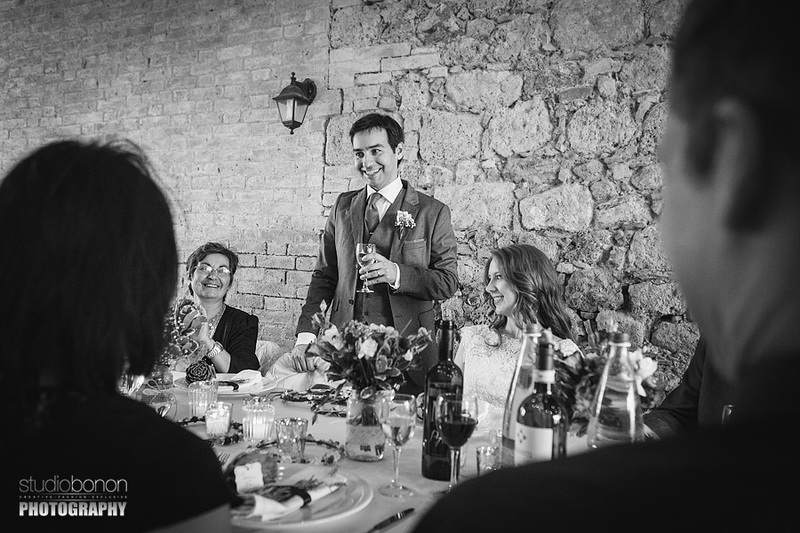 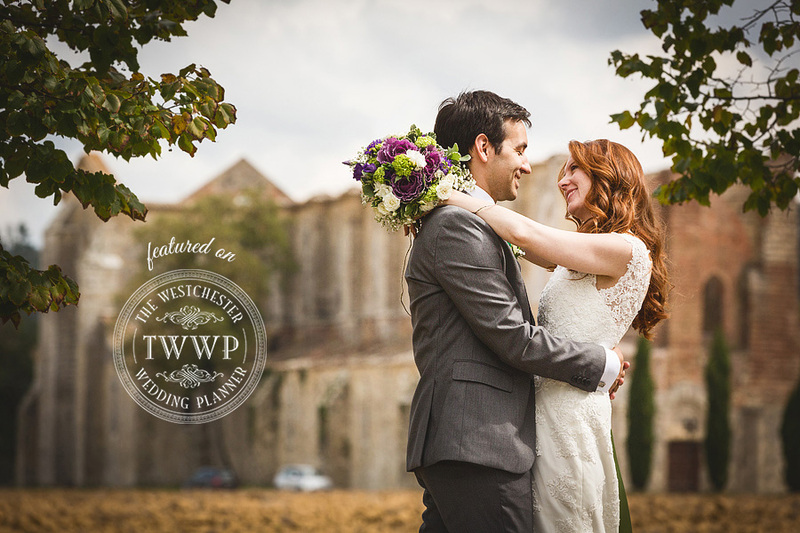 If you desire to learn more about this magnificent wedding venues, for sure one of the best in Italy, you may see this lovely intimate destination Tuscan Wedding by Gabe and Monique.